Since speaking at Circles Conference back in September, life has been pretty insane: more than a month of traveling between Cape Town, Houston, Dallas, and Palm Springs; and then, coming straight home into a year’s worth of work that needed to be completed in nearly two months; oh, and then, throw in moving halfway across the country…yeah. So, maybe that explains why this space has taken a little of a backseat, and posts like this, an awesome recap of my talk at Circles, have not been priority till now. This week, I am making a conscious decision to get back here and spend time focusing on executing ideas and dreams. In the last few months, I have learned that although I love design and enjoy the process of brand building, it is only a small fraction of what I love. I have found, with my time away from this space, that my passions lie with content creation: simply creating and sharing experiences that inspire others to live their dreams. I have also found that even as important as it is for me to create brands I am proud of, it is even more crucial for my creative process to be here, in this place, sharing what inspires me and letting myself adventurously create. That being said, it feels good to pour some time back in here. I honestly felt pretty empty the last few weeks without creating here. I felt creatively stale, but I think I needed that moment to truly value what I had built here. I needed time to decompress from a very creatively and emotionally challenging few months. Phew. Anyways, today I want to share my talk from Circles 2013. I told you all that I would share what I chatted about. It was one of my favorite talks I have done to date, and I feel it is everything that explains my passions as a creative. Not only am I sharing this with you all, but I also want to give away 3 8×10 prints from the Little Measures shop, where I posted all the hand-lettered slides from my talk (they are all the ones on black). I will give more details about that at the end. For now, I want to jump into the full chat I did at Circles for y’all. Let’s just jump in, huh? So, here’s the thing: as graphic designers, we all build brands and tell visual stories, but we all know we struggle with telling our own stories about who we are as creatives. The world of business has done some really great things for creatives, such as helping us find ways to monetize our work, and even the sawdust of our work, but it also has made us lose sight of some other very important things. In all honesty, the business world has told us that we must be summed up by an eye-catching portfolio, some cool logo that somehow describes us perfectly, and catchy copy about what makes us different than the other 40,000+ creatives out there; and then, you pray upon whatever part of the universe you believe in that the right client some how finds you. All of that is well-intentioned, but I believe there is a major piece we are missing. In my mind, I want to be known for more than just the work I show on Dribbble or the logo that sits on a business card. I want to know that, in some way, the work I have done has meant more to someone and has somehow made the world greater. This is why I have realized that the piece the business world has made us lose sight of is that we need to remember we are storytellers, and we are visual communicators. We need the world to know our story, in order to truly appreciate and find the appropriate value in the work we offer the world. Why shouldn’t we tell our stories? Creatives are incredibly unique creatures. We all know that the process of creating anything is not easy, and in fact, the creative process can be dramatic, adventurous, soul-wrenching, and beautiful—oh, and probably involve a few good cries and a bottle of wine or a few glasses of whiskey. That being said, what are our favorite questions to ask as other creatives? It always is: What was your process? How did you get there? Where did the inspiration come from? Every piece you create has a story. If you are truly creating meaningful work, it does. Every piece I have done in my career has brought me to new places and taught me something. Some big and some small. Creating is powerful and intense business. Now, what if you could somehow make your client value this process, and those tears at your desk were part of making the best damn logo they ever will have? Or, what if your client was deeper than just the checkbook and face on the other side? What if they were collaborators with you, and the work you made was more fulfilling than the vacation you thought you wanted to take? What if, through understanding your creative process, your client could honestly understand you more than they could solely through seeing your work? More than anything, I want to ask you if the time you spend away from the office is just as, if not more, important to the work you do in the office? I am talking more than just getting creatively inspired and that being part of your process. What I mean is that it is important to help us connect with the right clients and build a visual story about who we are that goes beyond our work. I mean, what if how we live our lives, see the world, organize our inspiration, where we go, what we eat, and how we choose to live can tell our clients something our work never ever could? Then, what if the story you are telling could finally snag clients you have been dreaming of? 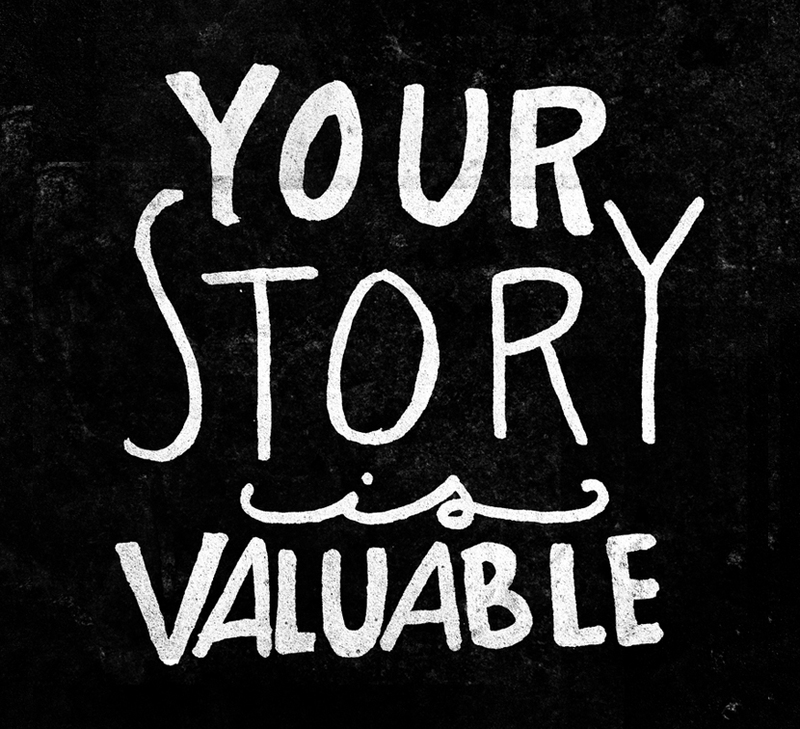 What if the story you were living was making your work better and more fulfilling? Well, it can. In order to begin turning that “what if” into a reality, we need to begin by being fearlessly authentic. We need to be okay with our story that has made us who we are and has brought us to understand—and honestly fall in love—with what we are meant to do in this world. Being authentic and in love with what we do is what will have us landing not just the right clients and projects, but the clients and projects we should have. The ones that deeply connect with who we are. These kinds of projects will produce work that is far more fulfilling, creative, passionate, and what being a creative entrepreneur should feel like. 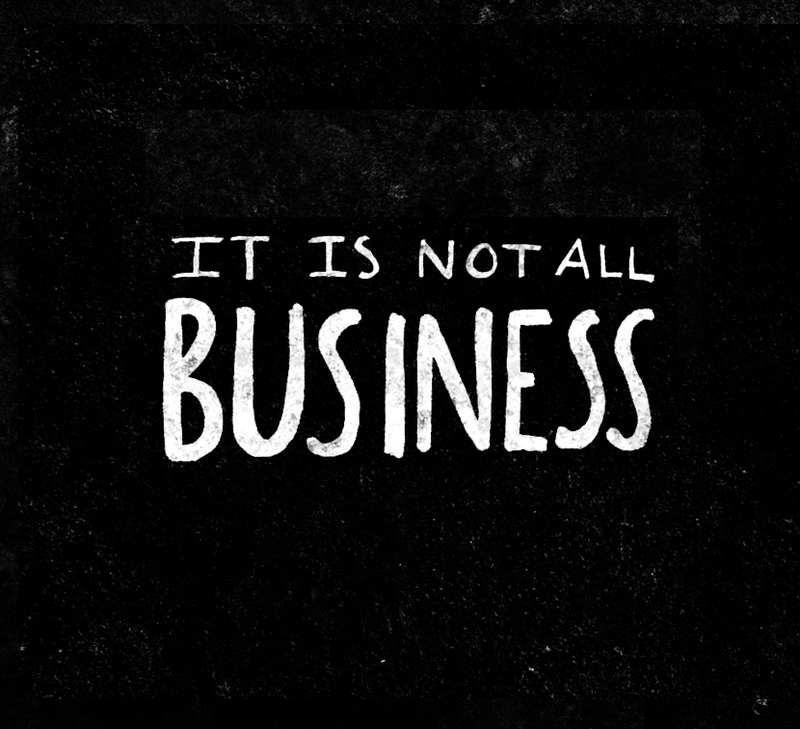 So, maybe, in fact, this whole business of being a creative is really not all business? For some of this to really make sense, I must really tell y’all Mike and I’s larger story, which inspired these ideas. Many of you who have been here from the beginning know a lot of this story, but those jumping in for the first time this will be a good rounded summary 🙂 Mike and I graduated college at the height of the failing economy in 2009. Neither of us could land those dreams jobs you think will be sitting there waiting for you at the end of the education tunnel. Mike went to work for an agency at an entry-level position part-time, and I decided to follow my crazy heart and start my own freelance business, Hitch Design Studio, from the many freelance clients I had obtained while in college. Mike took the trash out at the studio, and I was struggling to get $25 – $35 an hour for my work. I should also tell y’all that, from the day we began dating, we had vowed to never work together mostly out of protection for our relationship. During the first year of our marriage, Mike enjoyed his agency job and enjoyed the structure, but there were a lot of things he also struggled with that were a part of the agency world. I eventually got my footing as a DBA business owner, but worked far too many hours for very little pay. I took some wedding stationery clients, but ultimately realized my pay was barely above minimum wage after printing and the number of hours I spent working on them. We both were completely uninspired and struggling to gain a hold of what we wanted as creatives and adults. Out of complete desire to have a creative outlet, I penned my first blog post here on the blog on November 15th, 2009 (take a look). This space was where I wanted to catalog inspiration, share our life, and honestly, do whatever the hell I wanted creatively. I had no idea what that meant, and I had no idea if I ever would come back to that space again after writing that post, but as you all know…I did. I vowed to myself that this space would always remain an authentic creative place where I could explore and dream without restraint. It was my space to discover myself creatively and share my journey. The day I penned that post changed my life in ways I never expected. Choosing to click “publish” was the catalyst in directing my path in a direction I had no idea even existed yet. I had no ambition to grow a readership, attend a conference, speak, work with amazing brands, catalog worldwide travels, or even simply for it to be as important to my creative process as it is now. As you all know, the blog grew after November 15th, 2009 so if we fast forward nearly 2 years, placing us about a year ago from today, things began to take a major shift. My Pinterest profile had grown tremendously; I had been to a few blogging conferences; and I had discovered that this space was my hobby and also something I took very seriously. The space had become it’s own design project. I had become committed to creating original content and challenging myself to create hand-lettered type daily for posts, but the biggest thing was that the blog was now bringing in more design inquiries than my portfolio. This was extremely confusing to me at the time because I thought, “Why would clients be more interested in the life I showed on the blog than the work I was creating?.” It baffled me. Around this time, Mike was still working in the agency world, but he was shooting a lot on the blog and participating on posts far more. This was when we received an offer to go to Paris and shoot for our Alma Mater. The biggest thing, if anything you should take from this whole chat, is that you never should say no to Paris….ever. Paris is always a yes no matter what. Never say no. So we took the job…Mike took off for a while without pay, and we decided this was a once in a lifetime opportunity. We hopped the pond with barely a few hundred in our bank account and only our basic travel needs covered for our trip. We were joined by good friends, and, within days of being there, we felt alive, as if life had flipped upside down in the best way. We shot every day while traveling, cataloging nearly 16 of the days we were in Paris, which I know many of you have read. To this day, it is one of our highest hit series on the blog. But, that series was more than just great traffic, it was the cataloging of us finally discovering we were meant to work together. Mike and I needed to take this risk. After coming home, we said the words to each other: we wanted to work together. Soon after, Mike left his job, took what we had saved, and tucked it away in order to chase our dreams like crazy people. We felt there was no other way we would ever be happy than to take hold of what we wanted in our careers and lives. This was when Wild Measure was born. We decided that not only were we going to chase our dreams, but the people we wanted to work with were those just as wild and crazy as us. We realized we wanted to work with people who were like us, crazily chasing after their dreams. We knew we wanted to work with people making a difference in their communities and markets. We knew we wanted to build lifestyles not just brands that could change people. Not soon after beginning Wild Measure we started our first brand build together, Clyde Oak. This was our first Wild Measure client that had come strictly from the blog and hired us not just because of our work, but because of the life we lived and displayed here on The Fresh Exchange. This was the first time we saw the power of story telling in action. We saw that authentically telling your story and sharing what makes you who you are as a creative can make all the difference. In this time when our business began to flourish, we realized that more than anything, we wanted to stop watching the trends and start to authentically create work that told our client’s story in a deep way that pushed our own limits creatively. This meant we focused on collaboration, and that it was very important for us to deeply believe in the “why” behind what every one of our clients were doing. It had become our goal to feel less like a hired service and more like a partner in helping our clients bring their dreams to life. To us, the name “Wild Measure” described the act that everyone of our potential and current clients were taking with their lives, as they built what they dreamed of. They were just like us, building their dream because their dream was more than a dream; it was and is their life long pursuit, and they are willing to risk a lot to have it. That was what was going to inspire us to create work that was challenging, fresh, and something we felt proud of. Our goal from the beginning simply was to listen to our gut and to let the story we were unfolding on the blog be the guide for our direction for our business. When you truly listen to what is inside and stop allowing the fear take over, it is amazing the beautiful things that can come. Is it scary to be real? Oh yeah…some serious scaries, but that is the beauty that will make a story what it is. 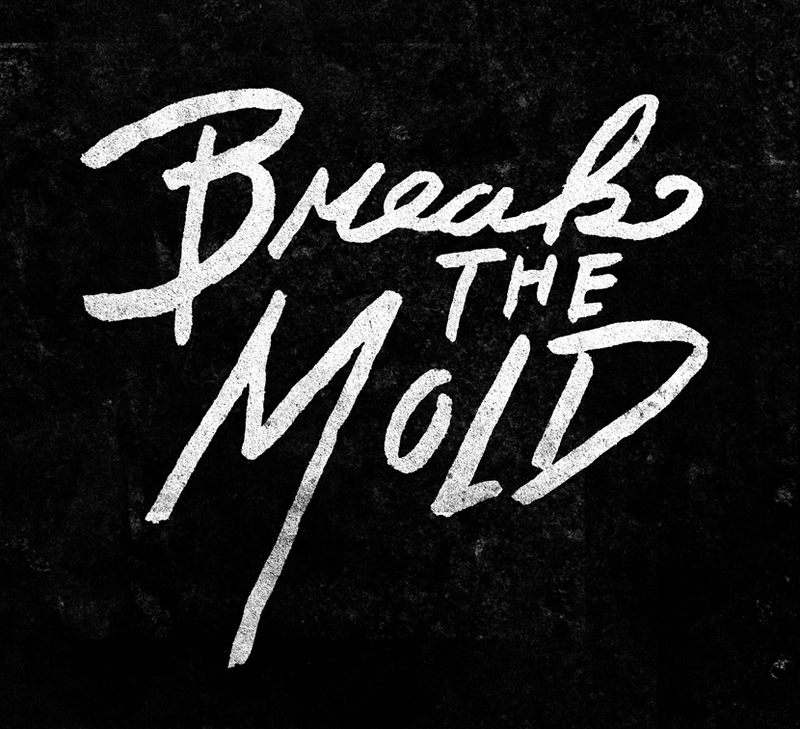 Engaging with the real parts of who you are is what will make you a great creator. When we announced Wild Measure, we had (and still have) no portfolio. Nearly 98% of our inquiries come from The Fresh Exchange, so when we began to share our story even more openly it was the beginning of a rise of inquiries for not just clients, but our dream clients. We will one day launch a portfolio, but for now we simply want to tell our story more than we want to share our work on a simple portfolio page. We want the story to be the most important thing, because this is how we have worked with some of the most inspiring and amazing brands. This is how we have gotten the chance to work with people who are greater business owners than us, who are greater creatives, who are greater dreamers, and those who beg to challenge us to go big or go home. The best example of this was how we have begun to work with the app company, Over. This relationship began through the owner, Aaron, being shown our blog and not just falling in love with my typographic style, but also the story we were telling here. He related to the stories of struggle and discovery he had read about in our creative journey, because that was his story as well. After working with them to create a pack of graphics for Over, we were asked to help build another product with them and to dream bigger than ever with them. This was the reason we went to Cape Town. There, we received a chance of a lifetime not just to experience one of the most amazing places I have ever been, but to experience Aaron’s life and see the real life inspiration for this product. Within 36 hours we branded their next greatest project, not because we are superstars, but simply because we allowed who Aaron was, and his passion for why he was building this new product, to be the source of inspiration for the project. We didn’t search for internet inspiration we instead allowed what we saw be the only thing that inspired our work. It was a dream situation. This was why we were able to take the time to build Cape Town Love in 24 hours. We had such a great time building the beginning stages of this other larger project, that creating adventurously and giving Cape Town an app only seemed like the fun thing to do on top of everything else. I realize that this relationship never would have happened if it were not for this space right here. It never would have been realized, as I would have just been another designer in the sea and not the exact one Aaron was ready to connect with and invest in. That idea has been my ah ha. We have found that our clients instantly feel a deep connection to us because of our story. By sharing our story and how our work is more than just the end result, our clients have found a great value and respect for what we create for them. When this happens, this means they will give you more freedom, trust, and ultimately, be proud to have you build their dream. This is the kind of respect we all deserve as creatives. This means the big question lies in how you tell your story. My answer to you is that I am not sure, and I don’t know what is right for you. For us, it is the blog. It inspires us to get going. Writing posts here encourages us to adventure, create, get out and do what we love more than anything else in our lives. It has given us reason to live the creative life we never knew we really needed in order to create the work we believe in. Though the blog was right for us, it does not have to be for you, so my challenge for you is to ask yourself: What inspires you? What is the story that you can tell? Then, what is the best way to share it? Every creative is different, which means how you tell your story can be truly you, and the more it is that way, the better. Maybe it will be Instagram; Maybe you will be to begin workshops or write an e-book; Maybe it is simply a video that shares things that make you who you are; Maybe you will take a whole new approach to your portfolio. What ever it is that you choose, it should authentically tell your story and encourage you to continue to chase telling your story and inspiring you to share it. The more you can tell someone about what drives you creatively, the more value you add to your work and the more likely you will connect with the right people for collaborations and projects. 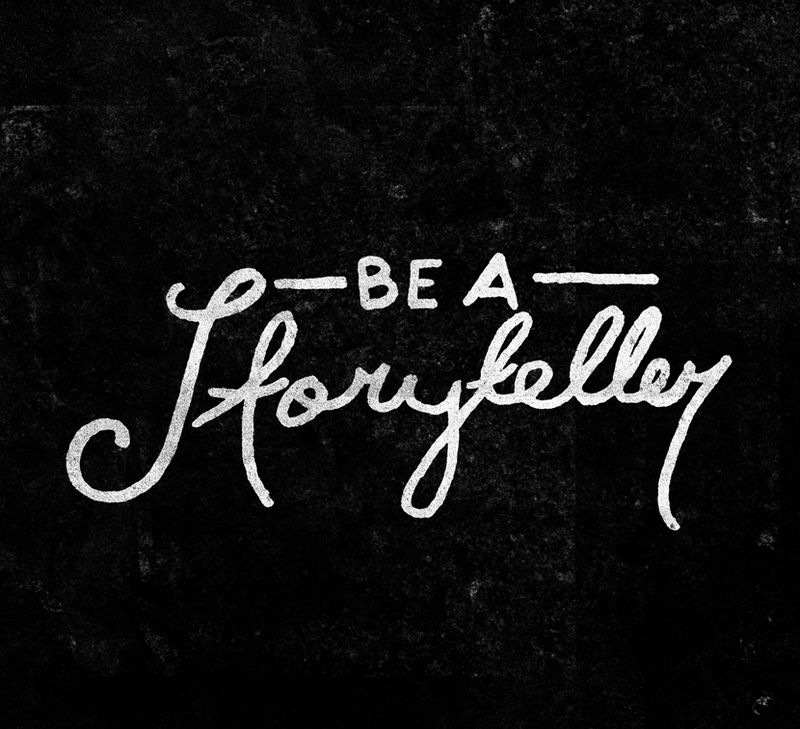 So, today, begin by deciding how you are planning to share your story. Think about what has brought you to this very moment right now. Wherever you are in your career it does not matter. 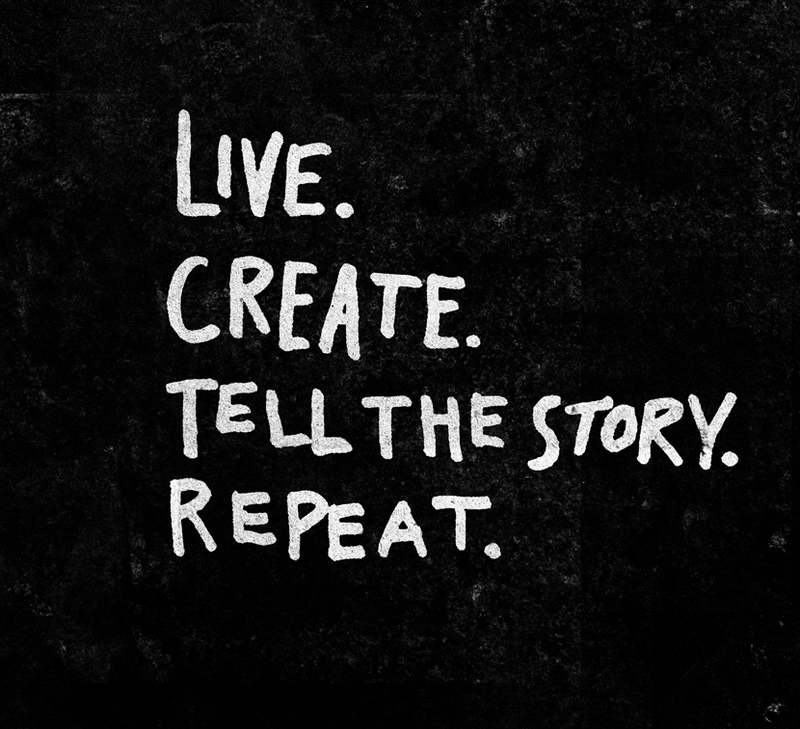 The life of a creative is a continual journey. Work shifts and changes as it should…those are all parts of the story. By telling your story and going beyond just showing what you create, but how you came to it, can mean the difference between a client that simply pays the bills and a client that fulfills you beyond the paycheck. No matter what, my hope is that y’all take this as a challenge to think far deeper into your work and what it means to you. That type of thinking can impact your future work and clients. Begin to figure out how you want be authentic with your story, because truly, being a creative is really not all business, and in fact, it is more personal than the world let’s us believe it is. If you would rather just see the talk first hand you can check it out right here: I think you all will really love it! Thanks for taking time to take in these thoughts on building your presence as a creative. If you are interested in winning one of the 3 prints I am giving away (you choose which one from the above graphics), then please pin the one you like the most and place a link in the comment section below. I will choose 3 commenters at random by next Wednesday. Excited to see which graphic meant the most to each of you! On top of that Circles wants to give away 5 on-demand passes to those of you who enter the print give away. So we could have a total of 8 winners between the prints and video passes! The pass will allow you to see the other Circles talks for free which is normally $95! don’t miss out enter the same way for the prints and we will choose 8 winners next week on November 19th! For more Circles fun you can also see all the photos and the fun here. 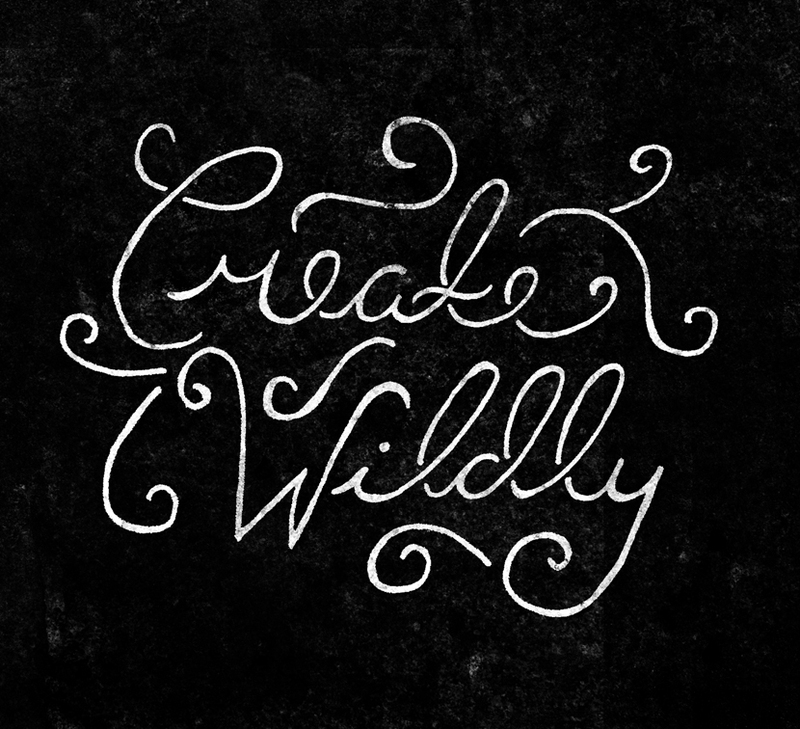 I hope y’all go create wildly today. Love all of the prints but this one is for sure the one I relate to most – some days we are just going through the motions of getting from point A to point B and time passes without realizing it. Sometimes we need to remember to enjoy the ride and the little things. Love these designs and the blog post. So inspiring. This was a very important session for me. 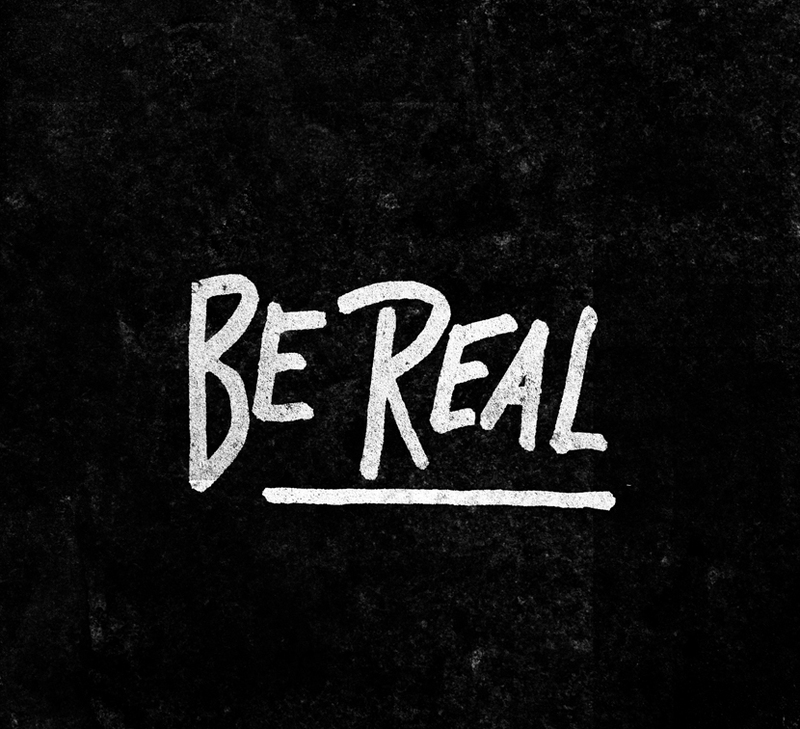 Thank you for being real. Oh wow! Beautifully written and expressed. 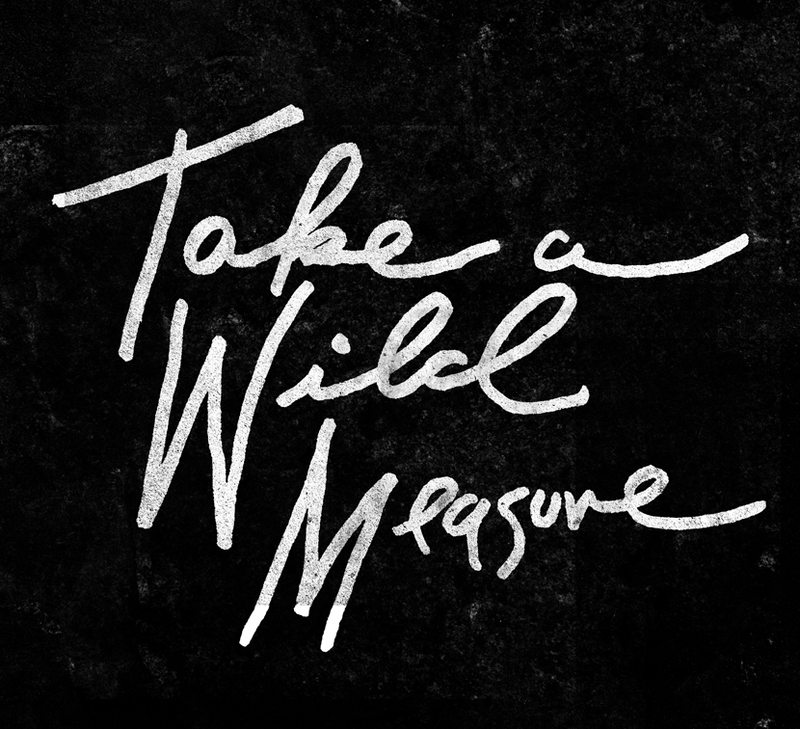 I am in the process of taking a wild measure myself and I can’t wait to release it into the world. I feel so scared and nervous and that’s how I know it’s right. I really needed to read this story today. It assured me that living boldly and sharing my story is the only way for me to live. I want to create and share to my hearts desire and not hold back out of fear. Thank you for sharing your story. Really inspiring thoughts. Thanks so much for sharing! Love your thoughts on the importance and value of story, Megan. Thanks for sharing your experiences! Megan. MEGAN! I am in love with this post. I can relate to this so much. Thank you so much for sharing the insight from your journey. I’m looking forward to watching your talk today. When you’re in the business of helping other creatives reach their dreams, it’s so easy to abandon your own creative journey. I wrote this post in September about how I was intentionally going to move some of the focus back on to my creative life while continuing to help my clients. Here it is if you want to take a peek. I pinned and loved a bunch of these illustrations, but here’s the one I’d like to hang in my workspace the most. It was really hard to choose! Thank you for sharing your inspirational prints and words! I love sharing them on pinterest and instagram. They are motivating and inspirational to me and my friends! Such a good talk! It’s crazy how important the story is and how often we forget about it. Megan – thank you so much for sharing this post. You & Mike are such an inspiration to me as designers, bloggers, and straight up humans. Your authentic voice never fails to come through here. So many blogs these days can feel so fake – filled with sponsorships, terrible photos, etc. but I can always count on coming here and getting genuine inspiration that is well thought out and well crafted. This post, like all others, is such an inspiration. What I try to remind myself of daily. Many thanks, Megan! You gave a really awesome talk, Megan. Thanks for sharing! And those graphics. SO GOOD. I pinned one here: http://www.pinterest.com/pin/248049891949781924/ I hope you are having a good week! Megan!!! I LOVED listening to your talk. I have been a huge fan of yours and your work for a while now, so it was really cool to hear about your journey. I am a painter and am slowly starting to obtain clients, so I found this really inspiring! I have found that I love sharing about my life on Instagram! I blog (not that regularly), but I have found that I really love telling my story through photos! Thanks for sharing, it was very motivating and inspiring to read your post. Awesome stuff Megan. Thanks for sharing. It was so hard to pick just one! These would be great as a series, or even as a “Steal Like an Artist” type book. 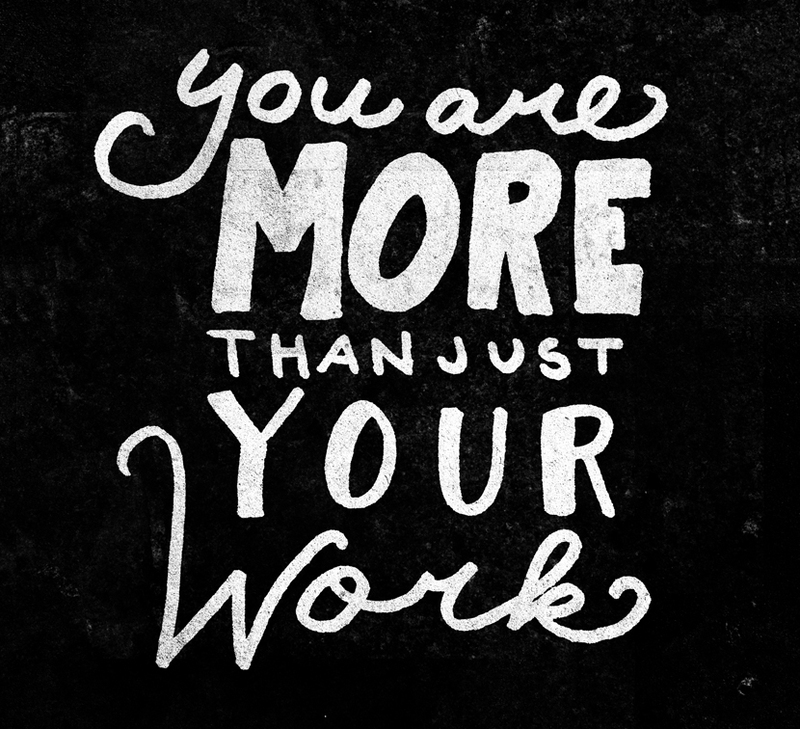 I also really love “You are more than just your work.” It’s something that I should remind myself of daily. This talk was extremely inspiring! How beautiful! I’m so happy to be able to create brands with my husband and I’m sure you and Mike will enjoy the journey Wild Measure takes you on. What an inspiring talk, Megan! I have been in the process of making my dream come to life and your words have been nothing but encouraging. Thank you SO much for sharing your heart with your readers. Beautiful! Reading your blog is inspiring and your adventures have been amazing. It makes me feel less scared and alone to read about someone doing what they love. So many things to think about and do. Thank you. 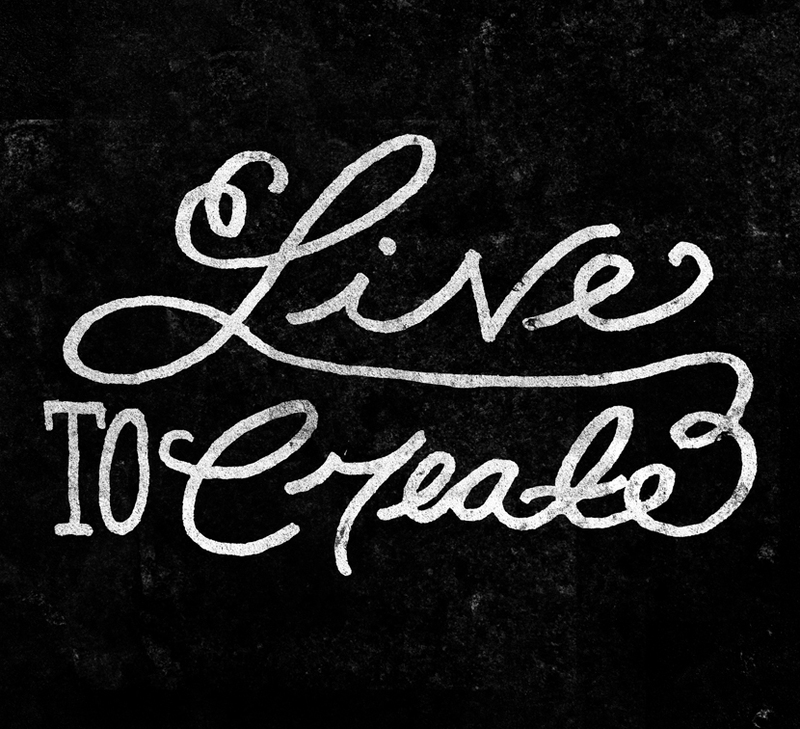 This is great, it is sometimes hard to remember that the living is part of the creating. Too often when we work for others what we love becomes tedious and uninspired. Love your story, very inspiring and I enjoyed your Cape Town posts very much. Beautiful script, as always! That creativity just flows out of y’all. So hoping I win a print for my studio! As someone currently in the midst of a job search, this is something I try to remind myself of daily as I try to keep positive and find worth in my daily life! I work with college students who are so focused on the destination that they lose sight of the journey they’re on during their four years of undergraduate work. This would be such a great reminder for them! Big thanks for sharing this on the blog, Megan. Love the inspiration to be ever more authentic. Thanks for sharing this Megan. I didn’t get a chance to chat with you much at Designer Vaca but you are pretty darn inspiring. I can super relate to what you are talking about. I’ve quit all of my corporate design jobs because they simply were not fulfilling. I either was designer for a market I wasn’t interested in or felt like I was simply designing for some CEO’s wallet to grow, not to actually make the world a better place. It’s such a cheesy phrase but it is so true. My freelance career is still in it’s early stages but I have such high hopes for it. Great thoughts Alicia and I hope next time we see each other we get to chat more. Really love your blog!!! Lovely post, Megan. Thank you for sharing your inspiring journey. Awesome speech, you’re such a great public speaker! The timing of this post couldn’t have been any better! After a few years of working relentlessly to build a creative business and taking on any project that came along, I have recently gone back to basics and started over. New branding, new blog and new clients – it feels authentic and liberating! 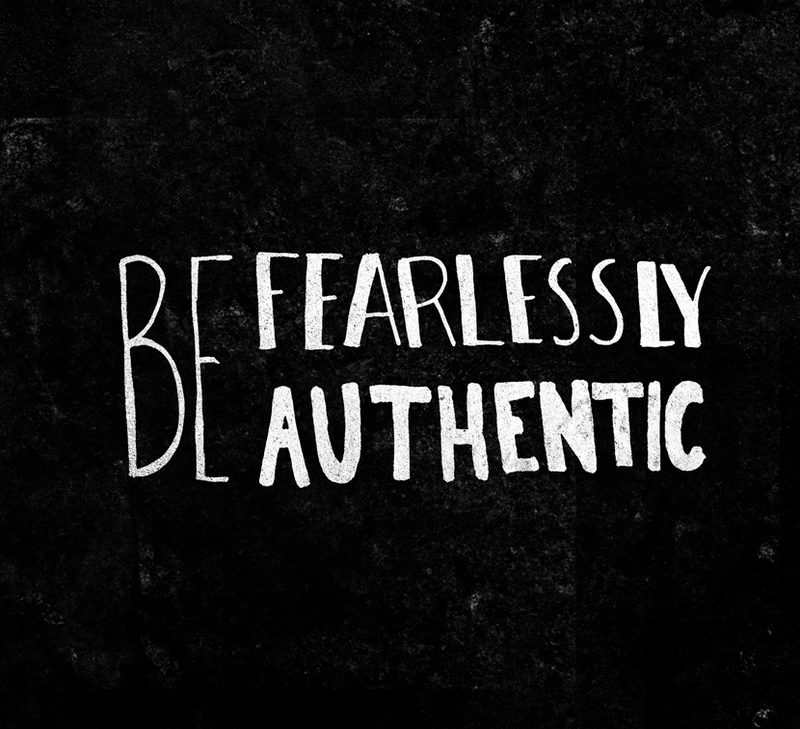 Thanks for sharing your story – I have chose the Be Fearlessly Authentic print as it serves as an awesome reminder. We would be nowhere without a journey, and the nice thing about it is, it never ends. Very inspiring post, thanks for sharing! What an encouraging post! Thank you for sharing and being authentic. This print was exacting what I needed to see today. I go to a very strict and uptight business school where you are told every day that you are just like everyone else and you shouldn’t help your fellow students because you are their competition. I however, want to break out of this mold. I would much rather live a life using my business skills to help others, not step on them. Love them all, it was hard to pick! I just sat riveted at my desk. I absolutely LOVED hearing your story! For me, the slide to remember the importance of the journey is very apropos because although I am creating every day, I am not at the place I truly want to be. I feel like I can see it, but just can’t seem to figure out what the right next step is to getting there. I so need to remember that the place I am currently in and everything that has led me to this point is also important and to learn from each and every experience and to grow from them. Thank you for posting your talk and for continually inspiring! Julie! I am so glad you loved it 🙂 Keep doing what you love and chasing it. Magical things happen! Megan. thank you so much for sharing your talk! I really needed to hear this. I couldn’t choose just one but Take a Wild Measure has truly inspired me! Again, thank you! Not many people that I would have taken the time to watch a 40 minutes video, but you are so inspiring, I had to! Loved it girl. Kudos to you! Goosbumps and tears in my eyes. This really hit home for me in more ways than one. Thank you Megan so much for sharing this. Mega inspired right now!! thank you for sharing your talk and leaving me inspired. as i’m navigating my career, it’s words like yours that keep me focused on my goals. It took me forever to decide which print I loved the best. They’re all amazing! 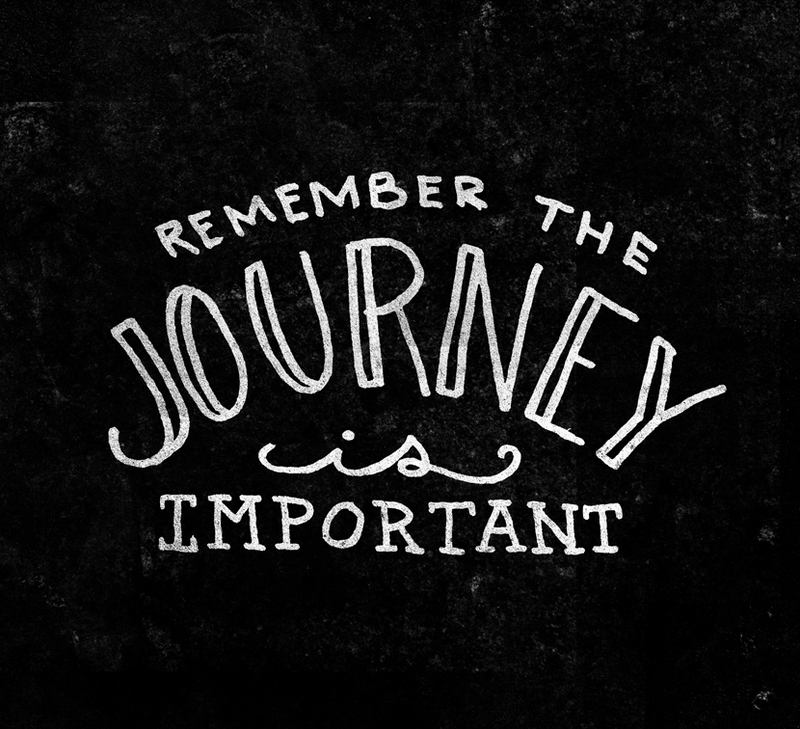 But I’m gonna go with “Remember the Journey is important”. A lot of times in life we’re in a rush to achieve our goals and we forget to enjoy the journey. We’re just going about our daily routines and times flies by. We need to slow down and reflect and remember that everything we go through in life, all our experiences both good and bad shape us into who we are today.